Workshops involving donors and CSO project implementers can yield solid outcomes when there is a common purpose and sharp focus. 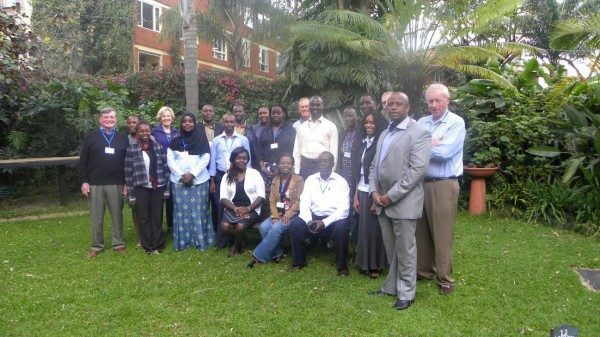 A PTF – ACT workshop in Kenya concluded with a bold “Vision of the Future” that encapsulates decisions on how to strengthen work by listing what CSOs and what governments need to do and how technology can be effectively deployed. Clear lessons emerged for PTF – applicable indeed to many funders of civil society – that stressed the need to be genuine, listening partners; ones that take real time to learn about proposed projects; and, that can work to secure goodwill from both government and community – this latter point is key because it was suggested that only by forging such relationships can projects and programs be taken to scale and sustained. Hold more stakeholder forums to scale up awareness creation. Focus on harnessing and expanding partnerships. Build capacities of all actors and enhance accountability. Strengthen institutions for action on a long-term/continued basis. Support development of and create awareness on complaints mechanisms. Develop training modules on citizen participation and engagement with duty bearers. Ensure that goodwill remains between government and community actors; otherwise the question as to whether grass-root action is scalable may never be realized. Target all levels of engagement (national and local). Ensure the opening up of procurement procedures/systems and processes to public monitoring. Encourage citizen participation in budgeting processes. Continue adapting technology to citizen needs enabling better feedback on the provision of public services. There is also some acceptance by the citizens making it is a possible strong avenue for governance efforts. Popularize the Information Act and implement the Freedom of Information bills to ensure there is widespread access to information and therefore increased awareness. Help in efforts to report on corruption, especially the use of mobile. Technology allows more people to be aware of the problem and this generates interest and gets the attention of the stakeholders, in this case the state. Reach many more people in real time allowing issues to be dealt with as they emerge. Allow organizations to bring to scale the information thus ensuring a wider reach while also breaking the distance/space barriers faster. Need to be calibrated to ensure that the information going out is accurate and validated and situations do not get out of hand. Help people be awakened to ensure an interest is raised. Change of attitudes, practices and customs is also a crucial factor in resolving corruption from an individual perspective all the way up to the national level. Add value to the efforts at making government more. This could be through engagement of social media where duty bearers can be tagged and stakeholders can pile pressure to get responses. It is also crucial to ensure anonymity of messages/feedback to encourage wider participation. Really become useful when there is increased awareness on the benefits of technology by the targeted end users. Civil Society Organizations should also provide technical support and help in ensuring people know about the technology platform in use.